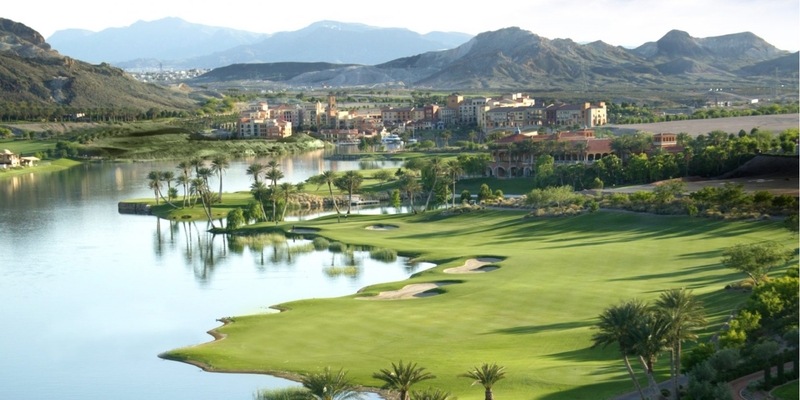 Westin Lake Las Vegas Stay & Play golf packages from $209 per night. 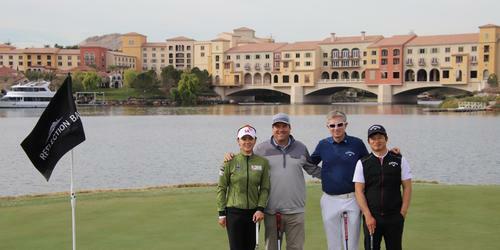 Experience the AAA 4-Diamond Westin Lake Las Vegas Resort & Spa and world-class Jack Nicklaus Signature golf. 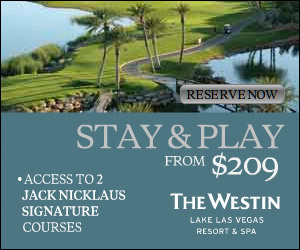 Please book your package online at www.westinlakelasvegas.com or call 866-716-8137. Contact Reflection Bay at 702-567-6000 for more information and details on holding a golf outing at the course. Named the best ceremony location in Las Vegas by Las Vegas Bride Magazine in 2011, The Westin Lake Las Vegas wedding venues are the perfect place to say "I do". From your first steps down the aisle to the last dance of the evening, our breathtaking location on Lake Las Vegas is the perfect backdrop for a dream wedding. We know on your wedding day you want to create memories that will last a lifetime so we've thought of everything for the most beautiful and unique weddings in Las Vegas - from the floral arrangements and menus down to the personal touches that will make the day your own. Discover even more possibilities by allowing us to cater your bridal showers, rehearsal dinners, receptions, and departure brunches as well. This profile was last updated on 12/20/2016 and has been viewed 15,853 times.